The ESO Update 1.8.1.0 for Xbox One is now available for download. The Elder Scrolls Online update 1.8.1.0 for Xbox One brings new features, bug fixes and improvements to the Battlegrounds and Cyrodiil campaigns. In addition, there are fixes involving the Warden class, the Halls of Fabrication Trial, quests, general gameplay, and more. The update has added a new 10-49 Grab Bag queue for Battlegrounds. You will now receive more XP for finishing Battlegrounds. The Almalexia (7-day No-CP) campaign has closed, and taking its place is Shor, a new 7-day CP enabled campaign. The ESO Update 1.8.1.0 for Xbox One added a new 10-49 Grab Bag queue for Battlegrounds. Made several improvements to the Battleground queuing system to address long loading times, getting stuck in the queue, or the inability to join a Battleground. Fixed an issue that would cause Battlegrounds to end early if there were no longer 12 active players. Fixed a crash that could occur when entering a Battleground. The staircase leading to Vivec Temple will now remain visible when there are many other players in Vivec City. Budding Seeds: Fixed an issue where activating Budding Seeds near the end of the 6 second duration could cause the ability to heal twice. Enchanted Forest: Fixed an issue where this morph was not generating Ultimate if the ally was healed to above 50% health on the first healing tick. Secluded Grove: Trees grown from this ability will now disappear when the camera clips into them. Monsters associated with Vvardenfell quest objectives will now respawn faster in relation to the number of player characters in the general area. The last Councilor slain will now drop loot in The Elder Scrolls Online update 1.26 for PS4. The ESO Update 1.8.1.0 for Xbox One fixed an issue where certain resource nodes found in Nchuleftingth and the Forgotten Wastes were respawning more quickly than intended. The ESO Update 1.8.1.0 for Xbox One fixed an issue where “Group” was not an available text chat channel while in a Battleground. When reviving to a Cyrodiil Keep from Imperial City, you will now actually be sent to the Keep rather than reviving in place or falling to your doom. Fixed an issue that was causing some models to unintentionally appear on top of other models. The ESO Update 1.8.1.0 for Xbox One fixed an issue where friendly and hostile telegraphs were not appearing around certain abilities while in Battlegrounds. Permanently summoned pets, such as the Unstable Familiar or Feral Guardian, will now heal back to full health after exiting combat. The ESO Update 1.8.1.0 for Xbox One fixed an issue where Rank III of this morph was not returning the correct amount of Stamina when the ability ended. Fixed an issue where you could block the heal from this morph. Radiant Magelight: Fixed an issue where the Rank IV tooltip was not displaying its value. The ESO Update 1.8.1.0 for Xbox One fixed an issue where Champion abilities that reduced the cost of your core mechanics (such as Warlord or Tumbling, which reduced the cost of Break Free or Roll Dodge) were not allowing you to cast those core mechanic abilities at the new, reduced cost. Immobile monsters will now drop threat faster after they realize they can’t hit you. The ESO Update 1.8.1.0 for Xbox One fixed an issue that prevented the second and third effects of Crown Poisons from being triggered by some area of effect abilities. Fixed an issue where monsters in a Trial that should grant leaderboard points were not doing so consistently. The ESO Update 1.8.1.0 for Xbox One fixed an issue where alchemical poisons were causing certain persistent area of effect abilities (such as Volley or Wall of Elements) to terminate early. Fixed an issue where Maelstrom’s Bow would lose an enchantment charge every time Volley and its morphs dealt damage. It should now only lose one charge for each cast of Volley and its morphs. The ESO Update 1.8.1.0 for Xbox One fixed an issue where you were not able to create a character in the last character slot if you don’t own ESO: Morrowind. Fixed an issue that was causing the Forming Group stage to take an excessively long time. Ready checks will no longer remain on your screen after the timer hits 0, and will now appear immediately if you are in a menu when a Ready Check occurs. Adjusted the alignment of the message for purchasable character slots so it will no longer collide with the character list on character select. Removed the “View Profile” option from Guild visitor and banlists. The ESO Update 1.8.1.0 for Xbox One fixed an issue after subtracting a single Champion Point from a Star, additional points from that Star would be subtracted without additional input. The developers also announced that the ESO Update 15 featuring the Horns of the Reach DLC Game Pack is now available to test on the PTS. The new update for PC rolled out yesterday. 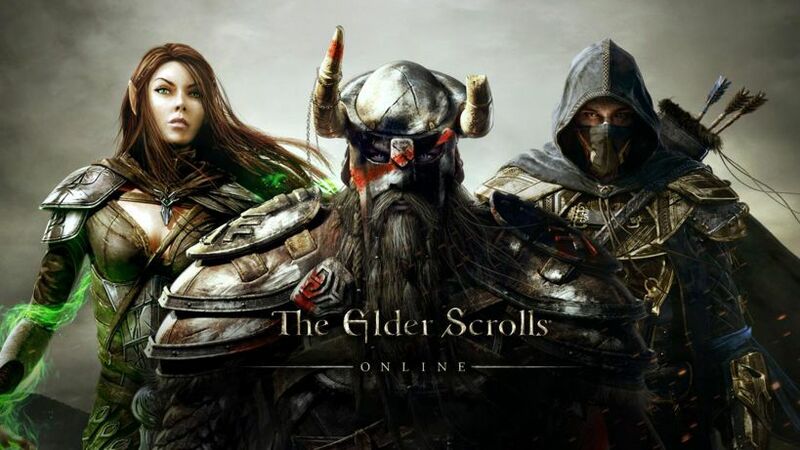 Check your game update and download latest The Elder Scrolls Online update 1.8.1.0 for Xbox One. The update size is approximately 720MB.